First Type: the machine can be used with corks having Ø of 25 mm up to 32 mm and 50 mm height. 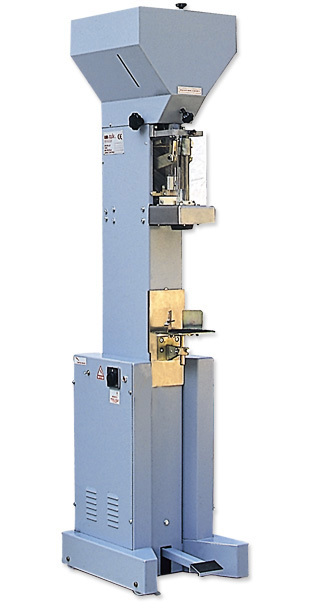 Second Type: the machine can be used with corks having Ø of 22 mm up to 26 mm and 50 mm height. For other kind of corks, please specify in the order. Possibility of corking bottles and flasks of any height, without any regulation, with automatic sensitive lock system to avoid any breakage. Automatic regulation of cork filling line. Pedal switch, with possibility of using single or continuous stroke. Safety device in the bottle lifting plate.